I have tell you before that I never wear soft lens more than 3 hours. I can count it by one hand how many times I am going out with soft lens. 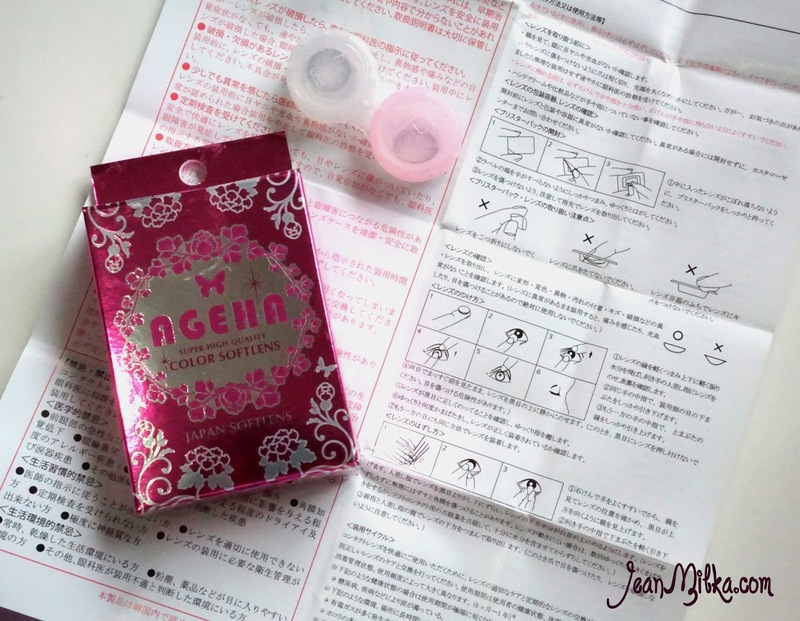 It changes after I tried Ageha soft lens from Japan Soft Lens. I got this particular Ageha Pop Grey from one of the event I was attended. This is not my first Ageha soft lens actually, I own Ageha D Sky that you probably had seen before on one of my tutorial *will reviewing it soon*. Since soft lens always end up itchy on my eyes, I never feel it is worth enough to wear it on daily basic. 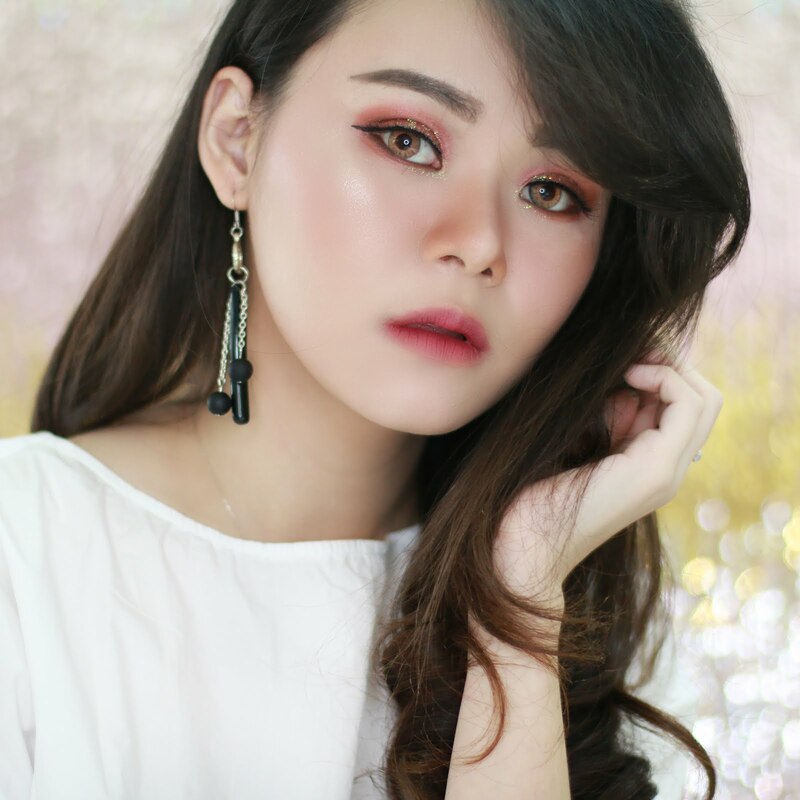 Ageha soft lens is already well known on blogger community. It comes in shocking pink metallic box with flowers and butterfly print all over it, which is very eye-catching. Inside the box, you will receive a pair of soft lens, soft lens case and instruction in Japanese which is I don't understand at all. The soft lens will safely store in blister packaging and you can found the soft lens detail on that blister packaging. Notice that there is "EXP DATE" on the blister packaging which means my soft lens will be expired on 2019. But once you open the blister, the soft lens will expose to air and dust and supposed to wear only 6 months after that. It's also depends on how you clean it. I got my Ageha softlens in Pop Grey. Pop is the design name and grey is the color. Ageha pop comes in only 2 shades which is grey and blue. Last time I check, it was on sale from 270.000 IDR to 178.000. Ageha pop gray diameter is 14 cm which is common size that supposed to give you big eye effect. As you can see from the picture bellow that Ageha pop grey have dot pattern on the center and black outer ring. The color is natural grey color. If you expect big eye effect almost looks like dolls eyes, I don't think this soft lens will satisfied enough for you. But for me, I prefer natural lens compare to some kind of lens that can make me looks like not me. Some grey lens might be icy color that can looks fake, but as you can see that Ageha pop grey enlarge my eyes but doesn't looks fake. I love how it feels on my eyes. I didn't feel itchy. I even forget that I was wear soft lens once and take it to shower with me. It last me 8 hours without eye drops . I also loved how natural it looks on my eyes and makes my eyes looks bigger with out over doing it. This is the first time I don't have any bad opinion for a review. 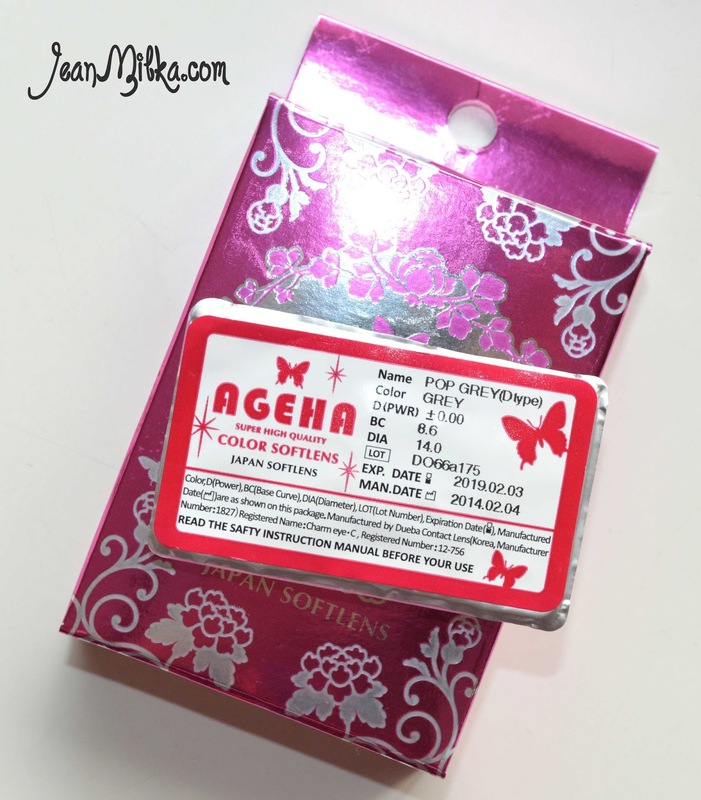 I really recommended Ageha soft lens if you want to try contact lens, it's also quite cheap tho. That is all for my review. Hope it will be useful for you. 4 komentar on "Ageha Pop Grey Review - Best Soft Lens Ever"
aku punya yang pop blue tapi belom dicoba. hihi. bagus yang greynya. cantik banget kalo dipake. Saya punya yang natural brown, cuma banyak yang bilang Lunatic lebih nyaman dibanding yang natural.